Winter in the United States can produce some of the most dangerous weather for the aviation industry, including freezing rain, freezing drizzle, and sleet. Those are the ideal conditions for a field campaign focused on collecting in-flight data in some of the most treacherous North American icing conditions. It's spring in the Pampas — the time of year when vast, intense thunderstorms roil across the region, which extends from the foothills of the Andes Mountains in Argentina to the coasts of Brazil and Uruguay. 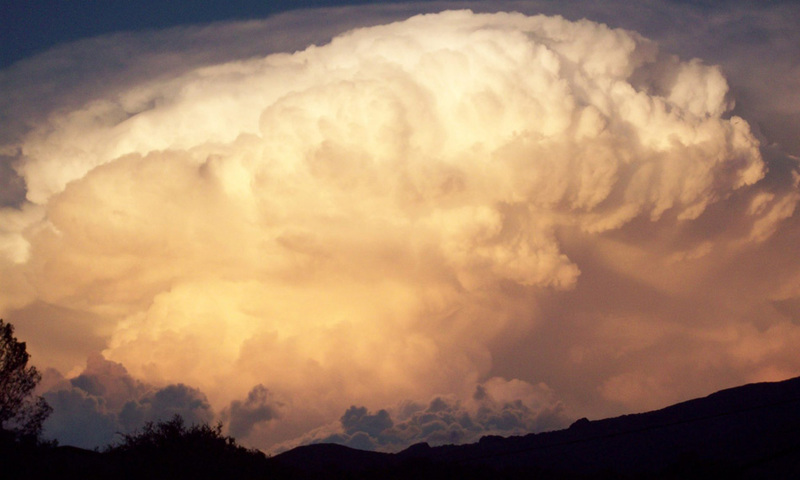 Next month, more than 150 scientists, including staff from the National Center for Atmospheric Research (NCAR), will head to Argentina as part of a field campaign to discover why these thunderstorms may be the most intense on Earth. This summer, a four-engine cargo airplane laden with both scientists and sophisticated equipment will fly straight into hazy smoke from Western wildfires. The flights will comprise the largest, most comprehensive attempt to date to measure and analyze the wildfire smoke that blankets vast swaths of the United States every year. This month, an international team of scientists will head to the remote Southern Ocean for six weeks to tackle one of the region's many persistent mysteries: its clouds. What they discover will be used to improve climate models, which routinely underestimate the amount of solar radiation reflected back into space by clouds in the region. The Gulfstream V parked in the airport hangar here has tracked thunderstorms, blizzards, and hurricanes around the world. But on Aug. 21 the jet will soar about 45,000 feet into the sky in pursuit of a natural phenomenon unlike any it’s faced before: a total solar eclipse. Over the past month, researchers have descended on Portugal's Vale Do Cobrão near the Spanish border to study the valley's wind flow patterns. The international project, known as Perdigão after the closest town, is funded by the National Science Foundation (NSF) and involves more than 50 atmospheric scientists. They're working to better understand how wind moves over variable terrain. As atmospheric scientists around the world look forward to seeing extraordinarily detailed images from the new GOES-16 satellite, the University Corporation for Atmospheric Research (UCAR) and National Center for Atmospheric Research (NCAR) are preparing for central roles in disseminating the satellite's data. Machines have invaded a windswept rural valley in eastern Portugal. Squat white containers stare at the hillsides, sweeping lasers across the eucalyptus-studded slopes, and towers bristling with scientific instruments soar 100 metres into the air. NSF's Gulfstream V aircraft has returned from a short-term loan to the National Oceanic and Atmospheric Administration. The high-altitude, atmospheric science research plane provided observations of dangerous hurricanes while a NOAA plane underwent maintenance. As the hurricane season churns toward its most potent period with storms affecting both Hawaii and Florida, superior aerial firepower is being deployed to provide advanced forecasting of the dangerous systems as they develop. It normally hangs its hat in an airplane hangar in Broomfield, but right now, that Gulfstream V is far from home. “This is a really important time to understand these observations, as these storms approach land in the United States,” said NCAR Project Manager Louis Lussier. Hurricane forecasters will be ready for the upcoming peak of hurricane season, thanks to a partnership between the National Science Foundation (NSF) and the National Oceanic and Atmospheric Administration (NOAA) to share a high-altitude atmospheric science research plane. The Convective Transport of Active Species in the Tropics (CONTRAST) experiment was conducted from Guam (13.5° N, 144.8° E) during January-February 2014. Using the NSF/NCAR Gulfstream V research aircraft, the experiment investigated the photochemical environment over the tropical western Pacific (TWP) warm pool, a region of massive deep convection and the major pathway for air to enter the stratosphere during Northern Hemisphere (NH) winter. A team of scientists is launching a series of research flights this month over the remote Southern Ocean in an effort to better understand just how much carbon dioxide the icy waters are able to lock away. Thunderstorms that form at night, without a prod from the Sun's heat, are a mysterious phenomenon. This summer scientists will be staying up late in search of some answers. From June 1 through July 15, researchers from across North America will fan out each evening across the Great Plains, where storms are more common at night than during the day. While many spent Groundhog Day looking beneath the ground for the forecast, scientists were soaring high above in search of better forecasts. A research team from the University of Illinois and the National Center for Atmospheric Research (NCAR) took a specially-equipped Gulfstream V plane from RDU and flew over the winter storm pounding New England. The difference between a breath of cold air and a breath of warm air isn’t just the temperature. It’s also the pollutants they might contain. Until now, wintertime air pollution hasn’t been studied in much detail. Scientists have focused more on warm air, partly because summertime's stagnant atmospheric conditions and intense sunshine tend to worsen ozone pollution. But that's about to change as researchers turn their attention to winter air quality in the eastern United States. Researchers at Pacific Northwest National Laboratory and collaborators are hot on the trail of a large and lumbering atmospheric wave. Originating in the tropics, the intra-seasonal force wields influence on weather patterns around the world. Forecasts for the tracks of hurricanes have made huge strides over the past 15 years, improving by over 50 percent. But forecasts for the intensity of hurricanes have lagged, with only modest gains in accuracy seen very recently. Six University of Canterbury students have been given a once in a lifetime opportunity to be involved in major international research led by some of the world’s leading atmospheric scientists. The research involves one of the world’s most advanced atmospheric research aircraft which arrives at Christchurch International Airport this month. Monitoring for the international weather research project based at Hokitika Airport will ramp up this week once specialized equipment is set up. Hokitika is hosting a segment of a wider New Zealand project dubbed ‘DEEPWAVE’ led by the United States National Centre for Atmospheric Research (NCAR) to study the phenomenon of westerly wind flows into the upper atmosphere. Most groups take pride in gaining recognition for their efforts. For the Health, Environment and Safety Services (HESS) at the University Corporation for Atmospheric Research (UCAR), however, this is not the case. “Success is best measured by not being noticed by the institution, it means we’re doing our jobs,” says Milenda Powers the team’s manager. Scientists to Examine Pacific's "Global Chimney"
After the excitement and exhaustion of a months-long field project, the last thing any scientist or funder wants is for the resulting data to be lost or locked away forever. NCAR has a handy antidote for that concern. What the Heck is a Dropsonde? Researchers studying global climate change have taken to the skies in a flying laboratory that is at the forefront of scientific discovery. The lab is a Gulfstream V corporate jet that has been modified. In place of the luxury seats for business executives are banks of computers and dozens of weather instruments.